SteamBall - Featured by Apple as New Game we Love! 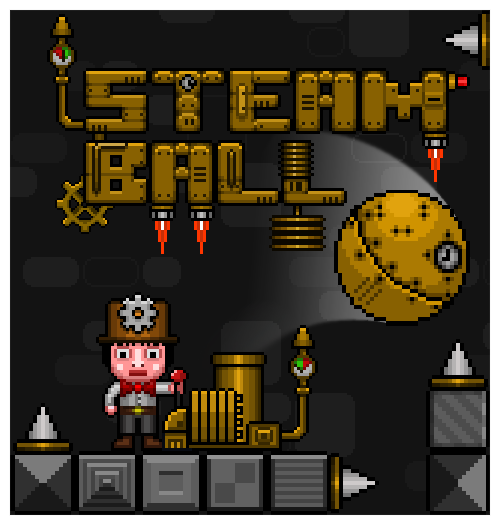 We are proud to introduce SteamBall - an action steampunk game. Reach the top and become the hero of the steam age! Avoid spikes and learn how to destroy obstacles as you climb to the top of the craziest tower of the steampunk age, choose new scientist to upgrade your power and challenge your friends: who will be able to go higher? SteamBall is New Games we Love in the US, Europe and many other countries, if you give it a try let us know what you think! - Did you write your own extension for Unity Ads? - Why did you decide to go with a publisher? - How relevant do you think having a publisher was for you getting featured? We already published Pixel Volley with AppsoluteGames last year, they had contacted us and we decided to try since we don't know anyone at Apple and didn't know anything about how to market the app. The game got featured worldwide and went fairly well so for SteamBall we decided to go the same way. Excellent game. I like its graphics and mechanics. Please, tell me, how did they find out about you? Well I don't remember exactly but I guess through our website contact form. We made a teaser trailer video on youtube and TouchArcade made a nice article about the game, this is probably where they came to know about the game. How much money has this generated so far? Congrats FMStudio!! Added it to the feature thread list.